Home / Posts Tagged "Eldos"
In version v11.104.17.0 we’ve added WebDAV as Destination. The WebDAV Destination is part of the +Plus Option Pack but can be tested freely in our Free Lite version. We would really appreciate your feedback (extra options needed or bugs or ..) about this option. Next we’ll (try to) add WebDAV as Source. We’re using the WebDAVBlackbox package from Eldos to achieve this. EldoS Corporation is an international company that specializes in development of security-related software components for corporate market and individual software developers. 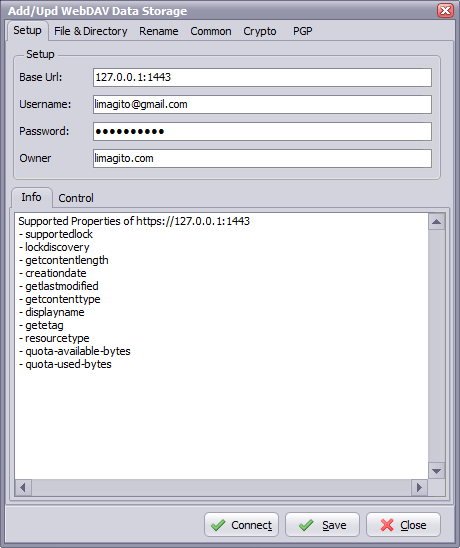 People may think that LimagitoXI is like one of the many updates of LimagitoX. Let me tell you that this isn’t the case. We’ve been working on this new version for almost a year. This is a real upgrade. At the same time we’ve upgraded our development IDE to create 64 bit versions. 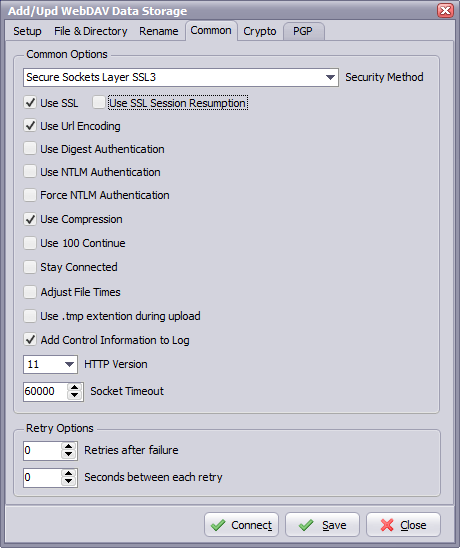 As internet component suite we are using SecureBlackBox from “Eldos.com”. In LimagitoXI we’ll upgrade to SecureBlackBox v13 so we can replace the current (non Eldos) IMAP4 and FTP server components. This way we’ll no longer have to use external openSSL dll’s. 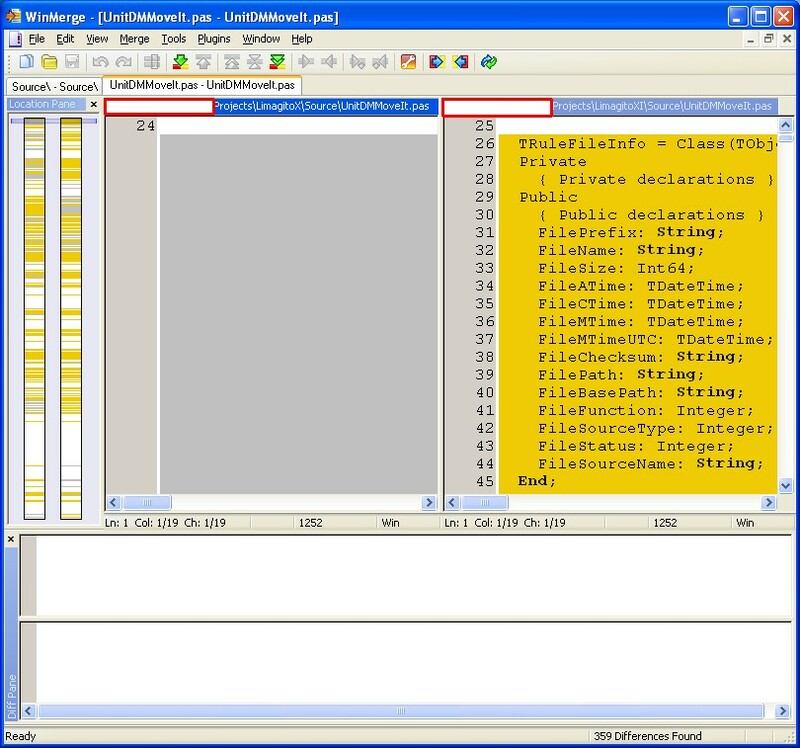 Below a screenshot of WinMerge comparing some of our code files between X and XI.